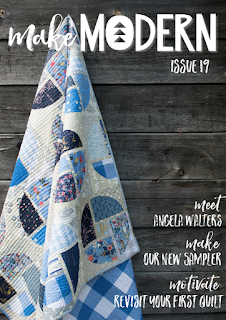 We're so excited to announce a new sampler project beginning in Issue 19 - we have a gorgeous new sampler that will run over the next six issues, run by the fabulous Sheila Christensen of the Mystery Quilter. 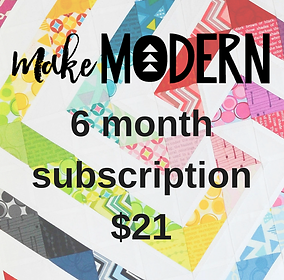 Sheila uses clever cutting and piecing techniques, as well as an equilateral triangle ruler, to create intricate hexagon designs in this beautiful table runner. This sampler will run over six issues and by the end of it, you'll have a great arsenal of hexagon blocks you can use in other projects. 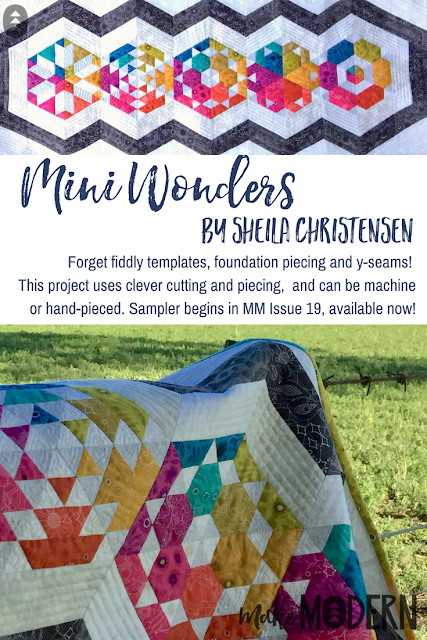 We adore Sheila's fabric choices - a mix of Sun Print and Diving Board from the one and only Alison Glass for Andover Fabrics.